The Oldcastle Junior C team got their championship off to a good start against Simonstown this morning (14/4/2019), with a solid away win. The first half was lacklustre, with just two points from Cillian Connell and one from Lee Healy, against five for Simonstown. The game came to life after the break, with Oldcastle much improved and taking scores from all over the pitch. Goals from Lee and Kyle Kavanagh boosted the lads and left it out of reach for the home side. Final score: Oldcastle 2-11, Simonstown 1-7. 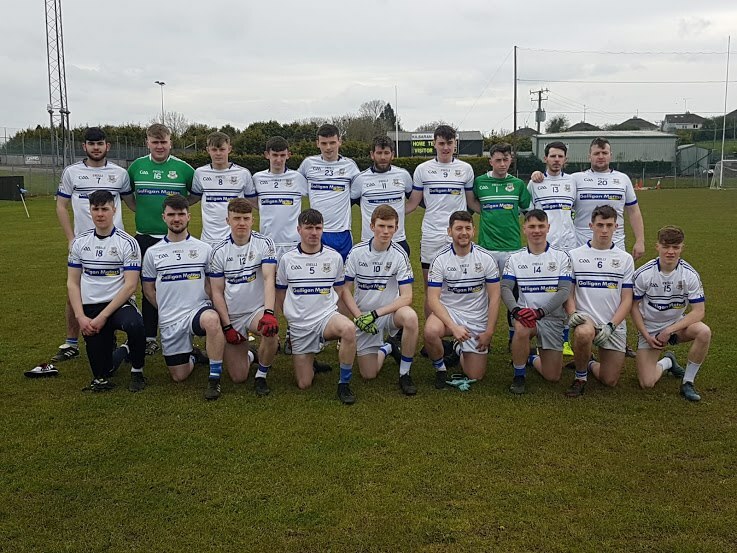 Oldcastle: Jack Fox, Aaron Getty, Sean Maxwell, Matthew Cadden, Cillian Connell (0-02), Joe Lynch, Charlie Lynch, Conor Hetherton, Oran Mulvanny (0-01), Ciaran Smith, Niall Mangan (0-01), Kyle Kavanagh (1-01), Martin Rudden, Lee Healy (1-02), Josh Halpin. Subs: James Caffrey, Conor Delaney (0-03), Philip Reilly (0-01), John Caffrey.